People involved in motor vehicle accidents often have no idea where to turn for answers and help. They may have been unfairly treated by an insurance company and not fully informed about their legal rights and how to effectively pursue their claims. 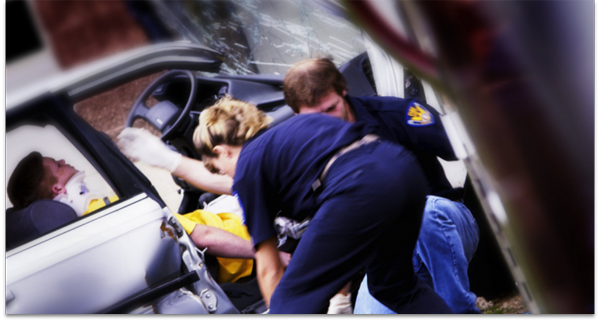 It is important for people injured in car, truck, and other motor vehicle accidents to have legal counsel to learn about their options and obtain answers to their questions. The attorneys at the Law Offices of Peter Alfert have many years of experience representing clients injured in car, truck and other vehicle accidents. Our Walnut Creek, California, car and truck accident lawyers have won many cases and helped clients obtain full and just compensation they need and deserve after sustaining injuries in a serious motor vehicle accident. Our experienced attorneys have won numerous cases that have allowed the injured to receive payment for their medical expenses, past and future wage loss, out of pocket expenses, pain and suffering, loss of consortium and other costs related to their accident. People injured in all types of motor vehicle accidents – truck, car, motorcycle, bike and recreational vehicle – should act quickly to find a lawyer to ensure the circumstances are investigated timely and fully. Otherwise, the chances of fortifying a strong case diminishes, as valuable evidence may be lost, witnesses may forget and records may disappear. Our law firm develops strong cases that rely on skid marks, glass, paint chips and other physical evidence. In the case of truck accidents, we investigate the driver’s driving history, examine the black box and driver’s log, and review the truck equipment and the maintenance records. We obtain copies of the accident report, photograph or videotape the scene, work with accident reconstructionists and document the condition of the vehicles after an accident. We carry out all the measures as soon as possible to establish liability, preserve evidence and construct a strong case. We pursue compensation for injured clients as vigorously as possible, exploring and analyzing all insurance policies and potential sources of payment. Our attorneys frequently handle truck and auto accidents that have occurred on Highway 5, I-580 and I-680. Although many of our cases come from the Bay Area and elsewhere in California, we also represent clients who live or work outside California, associating with local attorneys in other states. For additional information, complete our website form to contact the Law Offices of Peter Alfert or call a Walnut Creek motor vehicle accident lawyer at 925-279-3009.